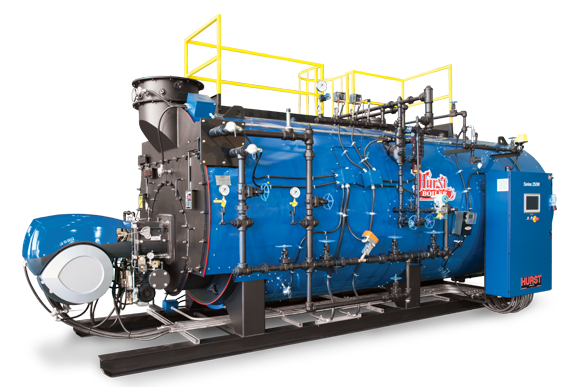 Hurst Boiler has been manufacturing, designing, engineering and servicing gas, oil, coal, solid waste, wood, biomass and hybrid fuel fired steam and hot water boilers since 1967. With installations across all industries worldwide, Hurst Boiler is recognized for the highest code standards, innovative engineering and design, Energy Star rating, and renewable, sustainable solutions for green building design and operational efficiency. Also manufacturing a complete line of boiler room peripherals and auxiliary equipment such as blow down separators, surge tanks, pressurized feed water systems, open vented feed water systems, steam accumulators, super heaters, underfeed stokers, sloped reciprocating stokers, “chain grate" type stokers, pneumatic stokers, combustion chambers, multi-cyclone collectors and exhaust stacks.